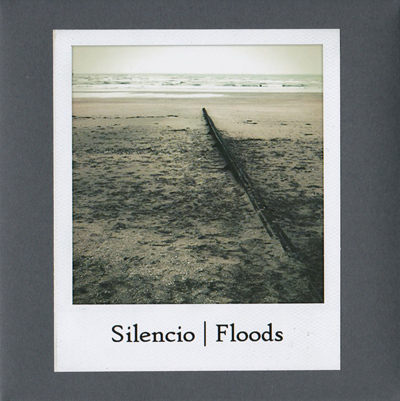 The label ‘Sound in silence’ presents this reissue of Silencio’s fifth album – ‘Floods’, and it’s a good thing it does. The first edition of the album was limited to forty copies and now we have 200 of these warm memoirs of deep, cinematic sounds that tell stories through long, almost eternal, angelic sounds. Throughout ‘Floods’ we have puddles of soft beats and brittle ripples of ambient miracles. This mixture of vibrant elements proves to be the main power behind Silencio. On the last track – “Embarcadero” I am delightfully caught inside a web of lo-fi sounds that are produced by Synths, I believe, and vague tribal beatings. Through the gentle sounds, as nothing here is too loud or threatening, Silencio communicates about memories, absence and sleep. The presentation of this music tells enchanting stories about these elusive subjects, sending the listeners to sail on an endless ocean in order to find a little bit of truth. Look for it, it is well worth it.